As a former CAD draftsman I always found the snap function in Illustrator very inaccurate. But now in AI CC I find it even more inaccurate. Am I the only one? Is there something one can do in order to make Illustrator snap more accurate? The green Line would indicate that the mouse has the line in range but the purple line is not aligned. That doesn't make sense. The colored lines would indicate that the alignment would fit the two lines together but it doesnt. 6400% Zoom At this zoom ratio its possible to align the lines 100% what a miracle. So why does AI indicate the the lines are aligned, when they clearly aren't? Thanks for any help. (By the way: The useless "Align new elements to the pixelgrid" is disabled). Illustrator perform methods for drawing on screen differently than CAD. Illustrator draw everything mathematically. CAD are using calculations to show accurate, but not mathematically precise on screen. In your example: you just need to understand that it's not possible to draw half pixel on screen (even on retina displays) and mach it with other half pixel and match it on different zoom levels (meaning different proportion half pixels) without adjustments and loosing precision. If you need absolute precision for your objects, use object options. For example, you need to place guide at 10 cm from left side of the artboard. Draw guide anywhere on artboart, select guide (make shure View -> Guides -> Lock Guides is unchecked) and put value 10 cm in X coordinate. Now make another guide and place it at, in example, 30 cm from left corner. Draw 3 rectangles exactly 20 cm wide and align it to the guides. Result will depend on what you will choose in Align stroke options. Now let's try other example. 20 and 120 ellipses with thin line. 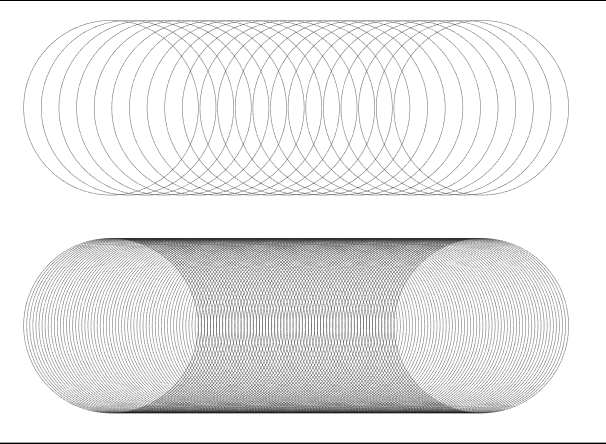 Notice a moire drawn buy Illustrator in some parts of overlapping. If you will print this object, it will be accurate and the only moire could be printed will be depending on liniature of printer. But you can't make so perfect drawing on screen just because screen is not so perfect to draw such a precise lines. Not the answer you're looking for? Browse other questions tagged adobe-illustrator alignment cc-2014 zoom or ask your own question. 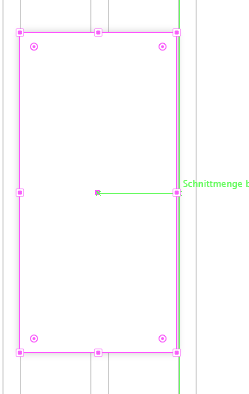 How can I use align to pixel grid without messing up the outline view in Adobe Illustrator?